If ever I’m asked what my all time favourite perfume is, my answer will forever be the same. 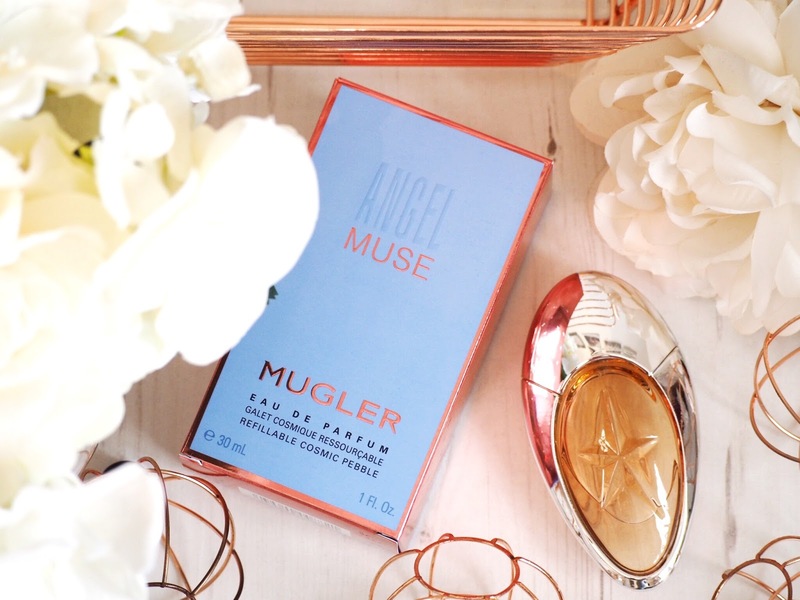 My trademark scent, the smell my friends and family always associate with me, and the one bottle of perfume that is always found on my dressing table… Thierry Mugler Alien. Because of this, I’m always one to recommend the Mugler perfumes. They’re strong, sultry and musky, and they tick every box for me when it comes to a scent. 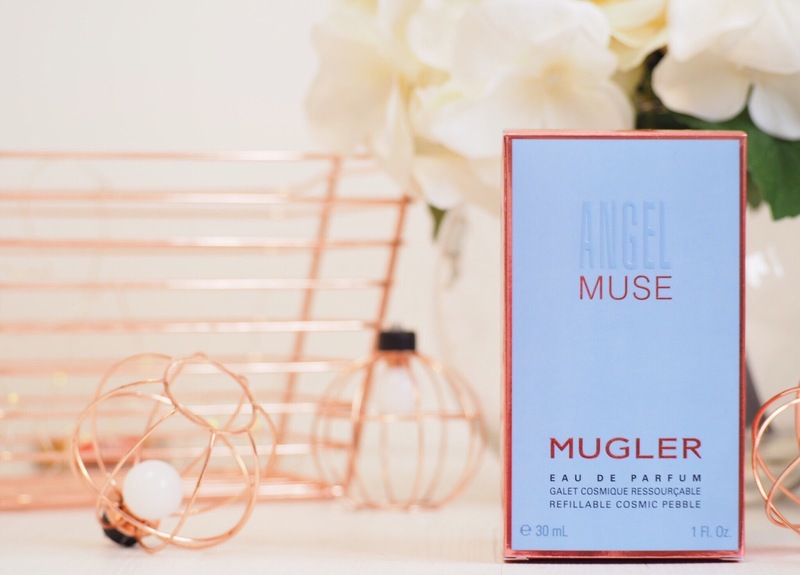 So when I was given the opportunity to try the brand new Angel Muse, I absolutely jumped at the chance. A twist on the original Angel scent, I was in love as soon as I opened the packet. The box is just so Mugler. It’s galaxy inspired, almost other-worldly in design, and always gives me a tinge of excitement at what it will smell like. The bottle itself is also unique – much like the other fragrances in the collection. 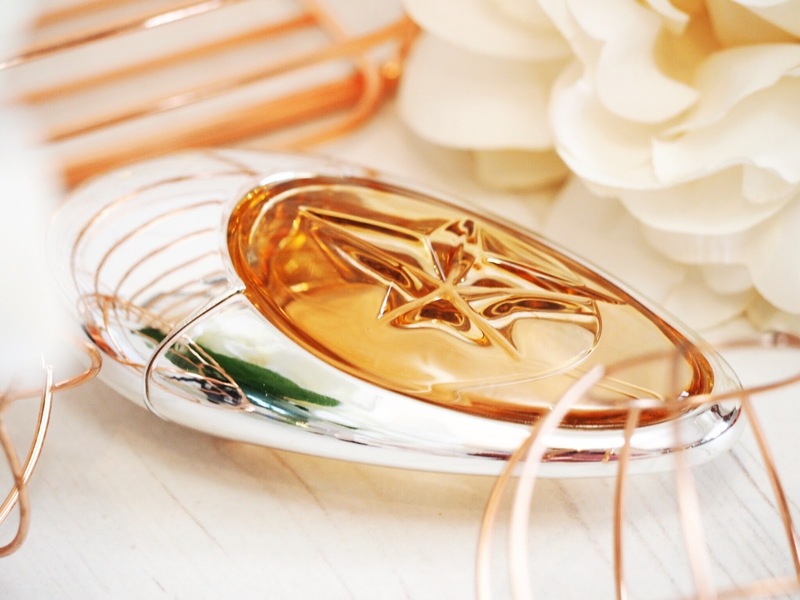 It’s got the trademark star emblazoned on the front and it’s shaped like a large pebble – and it fits perfectly in your handbag for an on-the-go spritz. 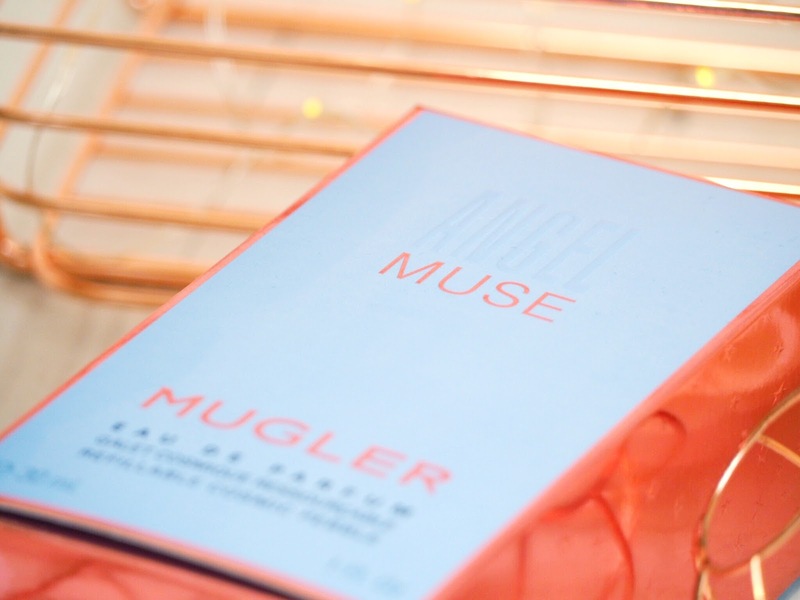 The scent itself is heavy and musky – the very thing I absolutely adore about all Mugler perfumes. Incorporating vetiver and notes of hazelnut cream, it’s got this seasonal edge to it that meant I loved wearing it when the summer was still bearing it’s gorgeous heat down on us. But I’m also enjoying wearing it now we’re going into autumn because it’s scent is so versatile that it’s great for all seasons, and for all occasions. Strength wise, it gets top marks. I know that some perfumes don’t stand up as well as others, and generally if I adore the scent then it won’t put me off if it doesn’t last as long… However with Angel Muse it’s got serious staying power, it’s still casting scent hours after use and then only time I ever have a quick re-spritz is if I want to have that heady musk and full strength scent for an important meeting or lunch date at mid day. Otherwise when I use it daily as my day-to-day perfume, I only need to apply generously in the morning and I’m covered all day. In fact I was complimented on it recently at 3pm – a good 6/7 hours after putting it on. Which shows it’s scent strength. Another key point to mention with this gorgeous perfume is that it actually settles with a completely different scent. In fact, I’ve never used a perfume that goes on smelling one way but after a few minutes when it’s settled, it smells completely different. Both are lovely – the first impression is woody and strong with a fresh edge that you’d associate with a vetiver perfume, and more on the masculine end of a scent spectrum. Then the settled scent is when you really get that trademark musk – exactly the thing that I love Thierry Mugler perfumes for. It’s positively delicious…and completely romantically addictive. Have you tried Thierry Mugler perfumes? What’s your favourite so far, and will you be giving this a go?